Book Signings, giveaways and related by Murder! Another week or so gone by. I'm finding it hard to spend as long as I'd like to writing. However, I've done quite well, another few chapters written, the end is probably finalised and another murder installed. I feel fairly pleased with myself. Talking of murder - I have now got another idea for book number 3! I am related (by marriage, I hasten to add) to one of the most famous murderers in the world! So far as I know, a novel has never been written about him/her and as I am related then what better person to write the story as a novel then myself? I have already done some basic prelim research and there seems to be enough info out there for me to have a good grounding. I'll just have to hurry up and get the current book finished! 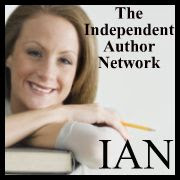 I'm told that agents/publishers love writers that are connected in some way to their subject, so great, all I need now is a good interested agent!? Don't forget my free giveaway of The Crossing. If you'd like to win a copy then see www.goodreads.com and go to my author page. Good luck. Finally, for those of you in Cyprus - not to forget my book signing at the Episkopi fair on Saturday 19th Spetember. I'll be on the Royal Naval Association stand. See you there and I'll sign your copy of The Crossing - for free of course.